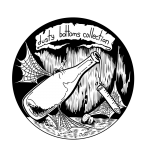 * For Bootleg’s professional brewery house culture banking services, please visit our Commercial page. 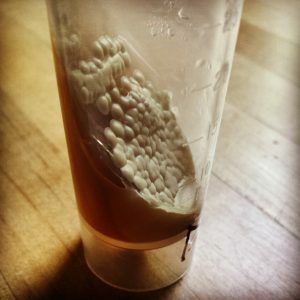 So you’ve isolated your own wild yeast, or perhaps something unique from a bottle-conditioned beer. How do you hold on to that pure culture, ensuring that your hard work isn’t wasted and that you can go back to that culture time and time again? It’s time to start building your pure culture library. Unfortunately, agar plates are not a long term microbe storage solution; they will eventually dry out and destroy your pure culture. Check out these two solid options and find the process that works best for your home yeast lab. Before proceeding, checkout Bootleg Biology’s Backyard Yeast Wrangling Tool Kit. Everything the experimental homebrewer needs to capture wild bugs, create agar plates, and isolate wild yeast. A slant isn’t much different from making agar plates, the difference is you’ll be pouring your agar blend into a sealed container. Determine how much agar media liquid is required. Pour water into your tube/vial and lean against a very short object at an extreme angle. The goal is to get as much surface area as possible. If the amount you poured into the tube is reaching up to the cap, pour off some of the water or find another object to rest it on at a greater angle. If using 30ml transport tubes, ~12ml of liquid resting on a kitchen trivet typically works well. Now multiply that amount by the number of slants you wish to create. Prepare agar media. Follow instructions in Creating Plates section for recipe and initial preparation of agar media liquid. Let it cool long enough so you don’t accidentally burn yourself, but not long enough to set. A note about autoclaving: This process is crucial to ensuring you maintain a pure culture. 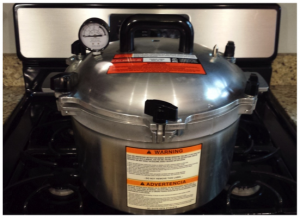 The ideal device is an autoclave, but pressure cookers are a whole lot cheaper and just as effective! FOLLOW PRESSURE COOKER MANUAL DIRECTIONS EXACTLY. While this is a common household cooking device, it can be extremely dangerous under pressure. Also ensure you are using a vial or tube that the manufacturer states is autoclaveable, if not, glass will shatter and plastic will melt (this makes yeast wranglers very sad). Sterilize media. Pour your prepared agar mixture into each vial/tube at your previously determined amount and seal the cap loose enough so that it won’t come off (goal is to ensure the hot steam can sterilize as much of the vial/tube as possible), place in racks inside pressure cooker then seal according manufacturer’s instructions. Heat at 10psi/240F for 15-20 minutes. Alternative method: No pressure cooker? Place agar filled vials in a test tube rack in a pot filled with water at a level that goes slightly above the liquid level in the vials, and bring water to a boil for roughly half an hour. This is the least ideal method and does not guarantee sterilization, but will likely kill most microbes in the environment that made it into your vials. Set it and forget it. Follow pressure cooker instructions as to when it is safe to open and remove vials. Careful, they’ll be hot! Tighten the cap of each container. Remove each vial/tube and place on previously determined object and angle. It will take roughly 30mins to an hour for the agar to cool enough to set, much longer than if you were making an agar plate. Once the agar has set, the tube/vial can be stored upright at room temperature until you’re read to use. Streaking refresher: Make sure you’ve read the Streaking Plates section of Isolating Yeast first. The ideal culture to use to inoculate your sterilized slant is a single colony from a streaked agar plate. That way you know you’re working with a pure culture. Streak slant. Working underneath your heat source, loosen the lid of your slant, heat sterilize your inoculation loop, then let it cool. Quickly open the lid of your agar plate, pick up a colony from the agar plate with your loop, and quickly close the lid. While still holding the loop with yeast colony, pull the lid off the slant and turn the vial/tube upside down. A small amount of condensation may drip out, this is ok! Holding the slant at a 90 degree angle with one hand, streak back-and-forth quickly to put a “lawn” with your loop on the agar side of your slant (this doesn’t have to be pretty, you’re literally just trying to get as many microbes on the slant as possible). Quickly seal the lid. Incubate. Keep inoculated agar slant in a warm, dark room for roughly 2 days to a week. Long enough that you can see a significant amount of growth. Storage. Place in a refrigerator for 6 months to a year. Periodically you will need to transfer your culture to another slant to ensure viability. Freezing cultures is the most ideal method for storing cultures long term. In fact, the standard for yeast labs is to freeze their master cultures using a variation of this process. In their case, they’ll use an ultra cold -80 Celsius freezer. The typical home freezer only gets down to roughly -20 Celsius, which is close enough for our purposes. So what IS the purpose of this type of banking? Is it even worth the effort? While yeast for the most part goes dormant at refrigerator temperatures, not all metabolic functions have stopped. Because of that, cell death will occur with time (albeit significantly slower than room temperature). Also, at non-freezing temps you are putting some amount of selective pressure on the cultures, so over time there will likely be some kind of genetic drift. This is why labs keep their master cultures so cold, so the yeast never changes and they can essentially have an unlimited supply of the master culture…locking in all of their original attributes. So what does glycerin do? Even though vials of glycerin & yeast will freeze, the glycerin acts as a kind of buffer preventing ice crystals from forming. That means yeast can survive the process, as their cell walls won’t rupture (causing cell death). Start with a liquid culture. It’s easiest to perform this process with a culture you’ve stepped up to at least 100ml. Refrigerate your flask so that the yeast flocculates to the bottom, which will allow you to pour off the liquid on top. Sterilize tubes with glycerin. Fill a number of autoclavable tubes with 2ml (20% of total liquid volume) of food grade glycerin (pipettes make it easy), any extras can be stored at room temp for later use. It’s ideal to always use pre-sterilized tubes, but since you’re going to have to sterilize the glycerin inside the tubes it doesn’t really matter. Place in test tube rack inside pressure cooker with lids on loosely. FOLLOW MANUFACTURER’S INSTRUCTIONS FOR USE. Heat at 10psi/240F for 15-20 minutes. Fill tubes with pure liquid culture. Follow pressure cooker instructions as to when it is safe to open and remove vials. Careful, they’ll be hot! Tighten the cap of each container. Once they’ve cooled to room temp, move to draft-free area. Remove flask from refrigerator, and move to draft-free area. If possible, spray down outside of flask with rubbing alcohol (or less ideal, StarSan) to prevent outside contamination. Carefully remove top from flask, pour off top liquid into another container. Loosen and remove lid from sterilized glycerin vial with one hand, and pour flask from yeast into tube with the other hand, replace lid. Shake up vial until glycerin and liquid yeast are evenly mixed. Deep freeze. If you have a freezer without an autodefrost cycle (you’ll know because you’ll have regular ice build up), you can stick your glycerin/yeast vials in then move on with your life. If you don’t, you’ll need to store the glycerin/yeast vials inside of something insulated like a cooler, further insulated with ice packs. Why does it matter? Autodefrost freezers regularly cycle on and off to bring the ambient temperature up in order to prevent ice build up. Yeast do not like this. Constantly fluctuating temperatures with quickly kill your pure culture, so try to insulate your culture from large temperature changes as much as possible. This is why it’s also always safest to have multiple backups (slant, liquid, etc) when freezing your cultures to ensure one mistake doesn’t permanently destroy your yeast buddies.